Among the best family sedans on the market is the new Honda Accord 2014. This latest model of the Honda Accord proves that the family sedan still has plenty of life left. The car is perfect for mid-size families looking for decent cargo and interior space. The Accord 2014 retains a tall roof, spacious interior and plentiful legroom, making it the perfect family vehicle. 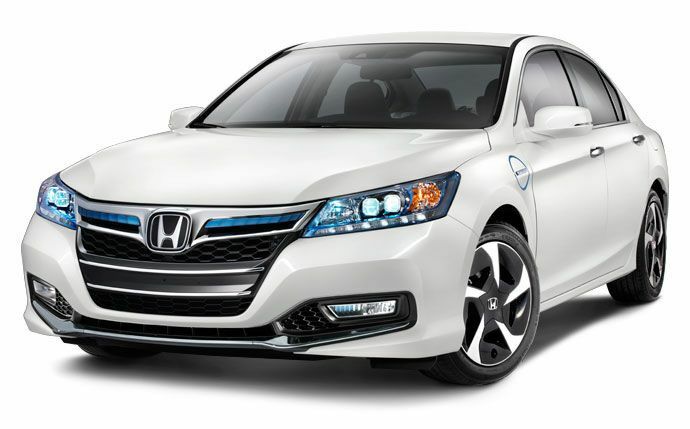 The basic Accord model is equipped with a 4-cylinder 2.4-liter engine, which generates 185-horsepower. The fuel tank has a capacity of approximately 17.2 gallons, and the car will give you an average of 28 miles per gallon. The Nissan Altima 2014 is an incredibly spacious car and is regarded as one of the best family sedans. This spacious sedan packs a lot inside. The seats are extremely comfortable and it is easy to install and uninstall child booster seats. The car also has plenty of cabin space and this makes it perfect for mid-size families. The Nissan Altima 2014 is equipped with a regular unleaded 2.5-liter engine, which generates 182-horsepower. The fuel tank has a capacity of approximately 18 gallons, and the sedan itself will give you an average of 27 miles per gallon. The new 2014 Ford Flex is a family SUV which has gained a lot of popularity over the past few months. The car is extremely stylish, has ample room for seven people, great cargo space, and even space for optional goodies, such as a small refrigerator. The Ford Flex 2014 is equipped with a twin-turbo charged 3.5-liter V6 Engine, which generates 365-horsepower. The car is extremely spacious and offers numerous features which will surely take your breath away. The fuel tank has a capacity of approximately 19 gallons and this luxury SUV will give you an average of 20 miles per gallon. The new Nissan Pathfinder 2014 is also a great family car. This model is purely built for families and has an extremely roomy interior and plenty of cargo space. This Luxury SUV also incorporates numerous modern safety features, such as a rear-view camera, front-view camera and cameras under the mirrors, and on the hatch lid to help you while parking in difficult spaces. The Nissan Pathfinder 2014 is equipped with a regular unleaded 3.5-liter V6 engine, which generates 260-horsepower. The fuel tank has a capacity of approximately 19.5 gallons, and the car will give you an average of 20 miles per gallon. Among of the best minivans is the new Toyota Sienna 2014. Not only is this minivan incredibly spacious, but also extremely comfortable. The Toyota Sienna 2014 is listed among some of the best passenger-accommodating minivans available on the market today. This luxury minivan is perfect for big families, as it can transport 8 passengers with great comfort. The Toyota Sienna 2014 is equipped with a regular unleaded 3.5-liter V6 engine, which generates 266-horsepower. The fuel tank has a capacity of approximately 20 gallons and this luxury minivan will give you an average of 21 miles per gallon. The new Honda Odyssey 2014 is a standout minivan. This minivan has the best and most family-friendly interior compared to most minivans. There are also many features this beautiful minivan optimizes which make it the perfect family vehicle. It has rear-seat entertainment system that features 5.1 Dolby surround and even has a built-in DVD player, and can support video game systems via HDMI input. The Honda Odyssey 2014 is equipped with a 3.6-Liter V6 engine which generates 244-horsepower. The car can give you an average of 22 miles per gallon. So, now that you are familiar with some of the best family cars of 2014, choosing one that suits your family size, style and budget will surely help you decide on the best new car for your family.